Moving into the 900 square-foot unit at the corner of Kettner & Ivy in the new AV8 mixed-used development that will also house a SuperNatural Sandwiches location and another full-scale restaurant is the second outpost of Bobboi Gelato, a traditional gelateria that offers an array of flavors made with organic, local prodcue. 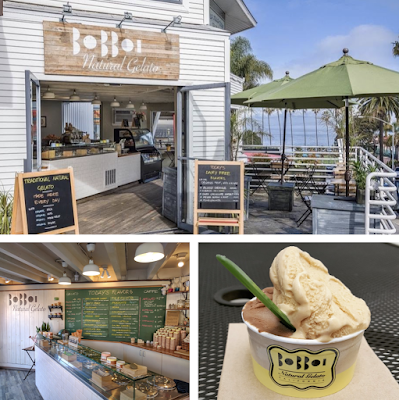 Opened in February 2014 by USD Alumni, Andrea Racca, who learned his craft studying at the Università del Gelato of Carpigiani near Bologna, Bobboi Gelato quickly became a hit due to its amazingly delicious frozen creations made using organic California ingredients. Bobboi's creative flavors include goat cheese & grape, vanilla & charcoal, mango & dark chocolate sorbet, vegan pistachio, and many more. Bobboi Gelato is expected to open at 2155 Kettner Boulevard in San Diego's Little Italy as early as February 2019. For more information, visit bobboi.com.